Although listed as an optional product to accompany your lavish, resort-styled tiki-torch kit, why settle for any other inferior product? �This TK torch post mount, made from the same quality powder coated steel as the post, this product provides a seamless look and finish like no other. 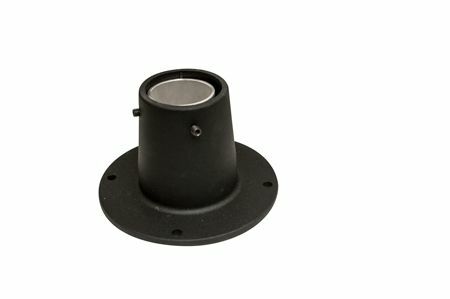 �Also coming with a 3-year warranty, this post mount may be secured with screws as it has four pre-cut holes located on the perimeter of the base to ensure the steadiness of your torch.